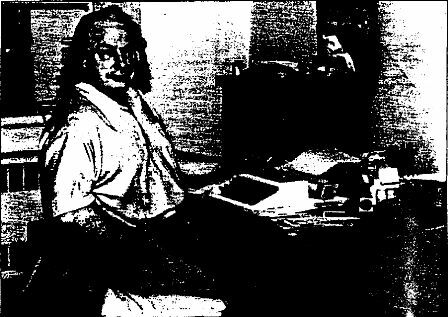 L. Ron Hubbard, one of the most bizarre entrepreneurs on record, proved cult religion can be big business. Now he's declared dead, and the question is, did he take $200 million with him? ONLY A FEW CAN BOAST the financial success of L. Ron Hubbard, the science fiction storyteller and entrepreneur who reportedly died and was cremated last January at the age of 74. For roughly three decades Hubbard ran the notorious Church of Scientology®, a "religion" he formed to "clear" mankind of misery. It came complete with finance dictators, "gang-bang security checks," lie detectors, "committees of evidence" and detention camps. In 1977 the FBI sent 134 agents, armed with warrants and sledgehammers, storming into Scientology centers in Los Angeles and Washington. Eleven top church officials, including Hubbard's third wife, went to jail for infiltrating, burglarizing and wiretapping over 100 government agencies, including the IRS, FBI and CIA. Hubbard could hold his own with any of his science fiction novels. Amid all the melodrama, at least $200 million in cash produced by his strange creation was gathered in Hubbard's name, and there is believed to be much more in organization assets: The Church of Scientology® has proved to be one of the most lucrative businesses around. If FORBES had known as much as it knows now, after interviewing dozens of eyewitnesses and examining sworn testimony and court records in both criminal and civil cases, Hubbard would have been included high on the Forbes Four Hundred. There is something that FORBES still doesn't know, however. It is something no one may know outside a small, secretive band of Hubbard's followers: What is happening to all that money? Hubbard himself has not been seen publicly since 1980, when he went underground, disappearing even from the view of high "church" officials. That's in character: He was said by spokesmen to have retired from Scientology's management in 1966. In fact, for 20 years after, he maintained a grip so tight that sources say since his 1980 disappearance three appointed "messengers" have been able to gather tens of millions of dollars at will, harass and intimidate Scientology members, and rule with an iron fist an international network that is still estimated to have tens of thousands of adherents—all merely on his unseen authority. How could Hubbard do all this? As early as the 1950s, officials at the American Medical Association were warning that Scientology, then known as Dianetics, was a cult. More recently, in 1984, courts of law here and abroad labeled the organization such things as "schizophrenic and paranoid" and "corrupt, sinister and dangerous," while Hubbard himself was described as "a pathological liar" and "a charlatan and worse." But the central fact is the money: hundreds of millions of dollars last seen in the form of cold cash or highly negotiable securities. "It's a perfect story about greed and lust for power," says William Franks, who was driven out of the organization in 1981, when he was the church's chairman of the board and its executive director international, the post Hubbard officially relinquished 20 years ago. "If you understand it on that basis, and stay away from the 'religious' aspects, it makes perfect sense." A few facts about Hubbard's early life are known. Lafayette Ronald Hubbard was born in Tilden, Neb. on Mar. 13, 1911. 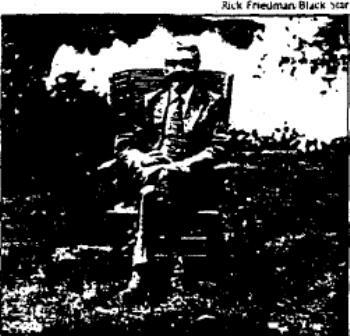 After serving in World War II, he wrote a 1947 letter to the Veterans Administration in which he complained of his "seriously affected" mind and "suicidal inclinations" and pleaded for help. Hubbard was nevertheless a moderately successful science fiction writer. In 1949, addressing a writers' convention, he reportedly said, "If a man really wants to make $1 million, the best way would be to start his own religion." In 1950 he published the book that would ultimately make him rich beyond the dreams of avarice, Dianetics: The Modern Science of Mental Health. In 1951, during his second divorce, Hubbard's wife claimed that he was "hopelessly insane" and that he tortured her. Three years later, his "church" was born. It did not act much like a church. Through the 1950s and much of the 1960s, Hubbard emphasized the "scientific" nature of a therapeutic technique he invented. He called it "auditing." He said it could cure illness, restore sight to the blind and improve intelligence and appearance. Hubbard argued, in his bestselling book, that inner turmoil sprang from mental aberrations he called "engrams" caused by past traumatic events, and could be eliminated by identifying, recalling and reliving the events. Eliminate your engrams, eliminate your turmoil. A similar process is routine to most conventional methods of psychotherapy, a fact Hubbard presumably was aware of. On this unlikely base he built his $400 million empire. Hubbard constructed a device he called an E-meter, actually a simplified lie detector, to measure electrical changes in the skin while subjects go over intimate details of their past. Auditors (later also called ministers) would conduct sessions with this device and zero in on Hubbard's engrams. Psychiatrists say a successful session of going over long-suppressed traumas can produce a sense of personal relief and euphoria. That brought the troubled subject back for more, money in hand. Lots of money. A large organization began to form, with "franchises" around the country. There are a lot of troubled people out there. Side by side with his "scientific" treatments, Hubbard pitched a body of religious beliefs—reincarnation and the like (see box, p. 322)—and claimed tax-exempt status as a religion. It was not long before some of his auditing subjects were drawn into what became a fast-growing cult. Some of them became fanatics who would do virtually anything at Hubbard's command. Unfortunately, the tax ploy and the big money drew the attention of the IRS: A ruling stripped him of his tax-exempt status in 1967. But by then the money was so big Hubbard was able to buy a 342-foot oceangoing ship, the Apollo. On it, he withdrew from his government persecutors and cruised safely in international waters with an adoring retinue of followers. The IRS was later able to prove in court that he was meanwhile skimming money, at least $3 million in 1972 alone, and laundering it through schemes involving phony billings, a dummy corporation in Panama and secret Swiss bank accounts. In 1971 a U.S. federal court finally upheld an FDA ruling that Hubbard's "scientific" claims were bogus and that E-meter auditing would no longer be labeled as a scientific treatment. But Hubbard was resourceful. The way around the ruling was to call the meters and auditing strictly "religious sacraments" and therefore beyond the FDA's reach. Hubbard's Scientology counselors had already begun calling themselves ministers. Now they took to wearing black and clerical collars. Chapels were constructed in Scientology centers around the country. "Franchises" became "missions," "fees" became "fixed donations," and "theories" became "sacred scriptures." The money got even bigger. The system works like this: Prospects, normally spoken of as "raw meat," are offered a free 200-question "personality test" to determine whether counseling (which means auditing) is needed. ("Auditing is always needed," says one former counselor.) Scientology services range from a communications workshop for $50 to the more popular one-on-one auditing sessions that soon cost anywhere from, get this, $200 to more than $1,000 an hour. Special training courses go for $12,000 and up. Life became very peculiar aboard the good, ship Apollo. How can anyone, except the very rich, afford to spend $200 to $1,000 an hour on counseling? Plus pay for the books and other materials in which Hubbard did a lively side business? Some newcomers are encouraged to become "field staff members," who recruit new raw meat on the streets for commissions to pay for their own services—they get 10% to 15% of all services rendered to the piece of meat they bring in. Others go into the business side for a piece of the action. Since it is not uncommon for people to spend more than $100,000 over a decade for their salvation, "The registrars were making good bucks, buying Porsches and Mercedes-Benzes," says one defector, Bent Corydon, "and the best counselors were paid on a performance scale." Corydon, who once ran the biggest single Scientology mission, left in 1982 to start his own auditing religion. For the less enterprising, another way to afford the religion is to sign a contract for up to a billion years (reincarnation, remember) and join church staff. After signing a note obligating themselves to pay for all services rendered in the event they break their employment contracts and waiving all right to sue, these members receive free auditing, room and board, a structured and controlled environment, and a small allowance—less than $25 per week in the early 1980s—in return for labor that can average as much as 15 hours per day. Ultimately subjects are "cleared"—that is, pronounced cured of engrams. But Hubbard was no dummy. He added more and more steps, each usually more expensive than the last, for his cult followers. Already, in the early 1950s, Hubbard found that the prior lives of individuals also required auditing by the hour. In the late 1960s, Hubbard had another revelation: Humans are actually composed of clusters of spiritual beings, stemming back millions of years. Now those spiritual beings had to be audited! Preposterous? Perhaps, but "eventually you lose the ability to even form a belief about these things,'' says a former high-level Hubbard aide, Gerald Armstrong. "Hubbard says, 'Jump,' you say, 'How high?' Hubbard says, 'I have new technology,' you say, 'How wonderful.' "
Howard Rower, a successful New York real estate developer who ran a Manhattan "mission" until 1983. "And if you have money, you're fawned all over until you don't have any money." The good ship Apollo got filled with hundreds of the most thoroughly programmed of Hubbard's signees. On board, life became very peculiar. Frank Watson, a chiropractor then in his 50s, told FORBES he was thrown overboard five times, sometimes blindfolded, for minor infractions. The drop was 26 feet. One Tanja Burden testified she was required to serve at the age of 13 (both parents were Scientologists) as Hubbard's personal slave, helping him dress and preparing his toiletries. There are many more such tales. "May be ... lied to or destroyed." It can be unpleasant crossing Hubbard's organization. Dr. John G. Clark, assistant clinical professor of psychiatry at Harvard Medical School, testified as an expert against the Church of Scientology ®. He reports that, in apparent retaliation, false complaints were circulated against his practice, phone threats were made to him, and ads placed in the Boston Herald offering $25,000 for evidence leading to his criminal conviction. This went on, he says, for ten years, during which two Church of Scientology® suits against him were dismissed. Clark is suing for $35 million. Other cases of harassment of critics have been documented. Such crude intimidation tactics are a systematic policy of the Church of Scientology. ® Why? Hubbard, in 1967, wrote the following with regard to church enemies: "[They] may be deprived of property or injured by any means by any Scientologist without any discipline of the Scientologist. May be tricked, sued or lied to or destroyed."—R.B. And the money kept pouring in. But things started to get too hot for Hubbard. One by one, foreign countries began closing their ports. England, Greece, Spain, Portugal. France convicted him in absentia for fraud. In 1975 he gave up the Apollo and touched down in Clearwater, Fla., which became another headquarters to go with the first one in Los Angeles. Hubbard evidently essayed a counterattack on his main persecutors: Former insiders say he had already gone underground for a year in a modest apartment in New York's borough of Queens (see photo, p. 314) while he planned a campaign dubbed Operation Snow White. This operation planted Scientologists in low-level positions in government agencies, It also sent followers to burglarize and rifle files or plant wiretaps. 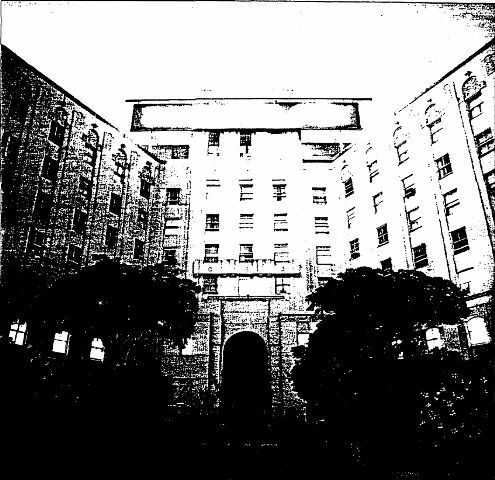 Adroit Freedom of Information Act filings by Scientologists caused the government to bring much of its evidence from its Scientology investigations into one office in Washington; his people then repeatedly burglarized the government's office, obtaining even those documents the government had no intention of releasing. It was the discovery of this campaign that sent the startled G-men to Scientology headquarters, search warrants and sledges in hand. Even though his fall guys insulated Hubbard from jail that time, he knew he was in trouble. "Hubbard told me at one time the biggest mistake we made was going religious and that we should have kept it straight as a business," says a former high "church" official who doesn't want his name used. "That would have avoided all the trouble with the IRS." Besides the feds, Hubbard and his organization were getting sued by disaffected former Scientologists. In 1980 Hubbard went underground again, supposedly at a ranch in the small California town of Creston, a 3 l/2-hour drive north of Los Angeles. Not even Chairman and Executive Director William Franks, then administrator of the entire Church of Scientology®, could speak to him or see him. All communications were via telex or written or oral messages carried back and forth by three trusted messengers—David Miscavige and Patrick and Anne Broeker, a husband-and-wife team. All three were young adults who had been indoctrinated for four or more years. According to defectors, Miscavige, whose father was a Scientologist, grew up in suburban Philadelphia and then England. Miscavige is said to have joined church staff at age 16, and reportedly has only a ninth-grade education. They say he is mean, a bully who acquired power through an ability to intimidate and an image he created that he represented Hubbard's wishes. In the early 1980s he was claiming to see Hubbard once a week. 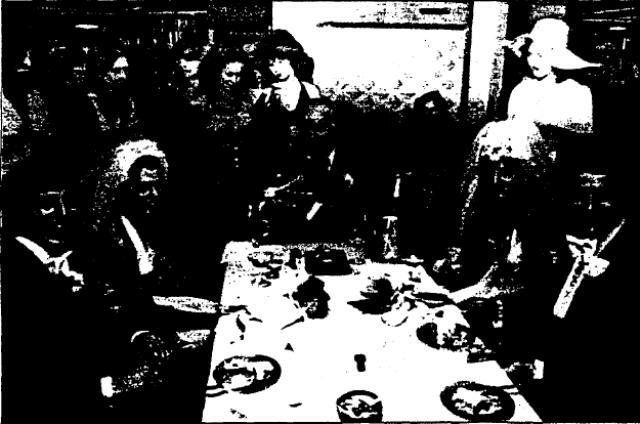 He joined with the Broekers, with whom Hubbard was presumably living at the time, and is now said to share power with them. Anne reportedly has a sixth-grade education and joined the organization when she was 11 (Bill Franks says he once taught the three Rs to Anne and others). She is said to be as ruthless as Miscavige. Pat, however, is said to have finished high school. He has been married at least three times and is said to have married his way up the hierarchy, with one Hubbard female aide after another. Their credibility in the organization, however, was not total. "I truly believe that Hubbard really died in 1980 and that this involves a scam on top of a scam," the now-disaffected Chairman Franks told FORBES. Now things really started hopping. The messengers and their agents—more formally, the Commodore's Messenger Organization, or CMO—soon took two major steps. One was an extensive two-year purge of the organization that drove away hundreds of longtime adherents. It was not hard. "Wild paranoia permeates the whole organization," says Don Larson, who served as the church's 525-per-week "finance ethics officer," for which read "enforcer." 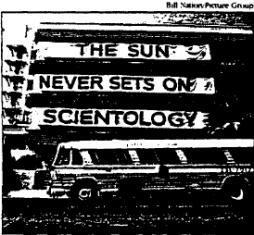 Larson claims he alone brought nearly 300 recalcitrant Scientologists to "Rehabilitation Project Forces" at Scientology centers around the world over a period of 14 months, until his own detention and departure in late 1983. "I was the hatchet man," says Larson. "I was responsible for all sorts of Gestapo-type stuff." In these sadistic detention programs, staff members would be coerced into performing hard labor, eating leftovers out of buckets and sleeping on floors. Some were reportedly kept against their will. The other move was to step up the flow of money dramatically. Among Larson's duties were levying fines on wealthy auditing subjects, whose intimate auditing sessions had been transcribed in writing, and forcibly dunning mission holders (franchisees) for millions of additional dollars for Hubbard agents. "In 1983," says Larson, "I manipulated a half-million-dollar inheritance out of Bob B... He was naive as hell. D.M. (David Miscavige) called me up in the middle of the night [about Bob B...] He wanted the money. "What's all this got to do with religion?" Larson muses. "I can't believe the things I did." 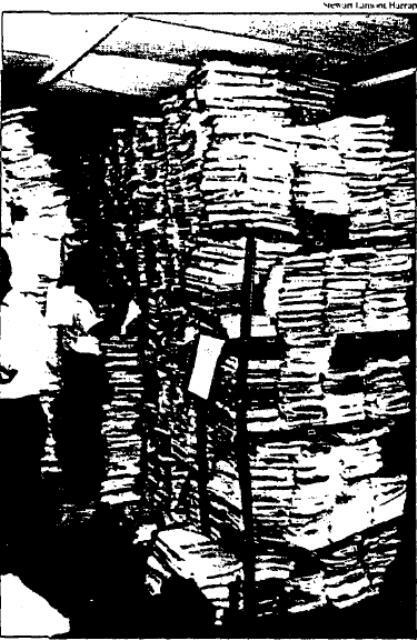 in a Scientology storeroom in Clearwater, Fla.
"The question was always how to get more money into Hubbard's pocket and how to hide that from the IRS," says Franks, who was responsible for investing about $150 million of church reserves in 1980, most of it held in foreign currencies. "There was literally cash all over the place. There would be people leaving from Florida for Europe with bags of cash on a weekly basis. There were hundreds of bank accounts." In 1981 Franks started taking Hubbard's name off these accounts as signatory—15 years after Hubbard was said to have retired from the church—to hide the connection to church funds they represented. Instead, much of the organization's cash reportedly wound up in the Religious Research Foundation (RRF), which former church members say was a Liberian shell corporation with bank accounts in Luxembourg and Liechtenstein. RRF was set up by three otherwise unimportant board members who had submitted their resignations in advance. The RRF was used as a way station for money from the church to the unseen Hubbard's own accounts in Switzerland and Liechtenstein. Franks claims that RRF accounts alone totaled well over S100 million by 1981. "RRF was as good as Hubbard," says he. In 1980 Laurel Sullivan, for seven years Hubbard's principal public relations official, was put in charge of an internal operation called Mission Corporate Category Sortout (Hubbard liked military jargon and organization), at the behest of Miscavige. Sullivan says she planned ways to juggle the church's corporations to shield the unseen Hubbard from legal liability and to ensure that the income lines to Hubbard from the church could not be traced. A separate corporation called Author Services, Inc. (ASI) was formed to manage Hubbard's financial affairs and, apparently, those of the church as well. According to Howard Schomer, ASI's treasury secretary in 1982, he sent up through Hubbard's messengers weekly updates on Hubbard's net worth from ASI. Schomer says Hubbard was pulling in well over $1 million a week through ASI when he, Schomer, left and that Hubbard's net worth, through ASI alone, had risen more than $30 million in a nine-month period in 1982. Schomer, who never saw or spoke to Hubbard after 1975, says that when he became visibly troubled about these matters, he himself was subjected to a ten-hour "gang-bang sec check," an increasingly common experience among church members, which in this case included being accused of being a CIA spy, threatened with jail and physical harm and spat upon by Miscavige. Schomer is now suing Hubbard's estate, Miscavige, the Broekers and ASI for $225 million. A particularly handy device to get money to Hubbard was back-billing the church for Hubbard's past services. According to Schomer and others, Hubbard's weekly gross income was the most important statistic kept by ASI, and it was ordained that the income keep rising. Explains Schomer: "(Say) last week's income for Hubbard was $750,000 and this week is down. In order to keep the graph on its vertical trend to $800,000, they would come up with the figure to be used and then find something that would justify that kind of money to Hubbard, like special courses or E-meters that he had once designed. Each item had potential values put on them." The most remarkable transaction of all took place in 1982, when sources say Hubbard or his agents sold some of his copyrights for a reported $85 million (including $35 million said to be earmarked for his projected mausoleum) and donated his trademarks, which were also valued at $85 million, to still another corporation, Religious Technology Center. (This dual transaction created an offsetting deduction, thanks to the donation, which made the sale effectively tax-free.) The head of Religious Technology Center also happens to be the very same man who notarized the document that authorized a key part of the transaction—David Miscavige. Altogether, FORBES can total up at least $200 million gathered in Hubbard's name through 1982. There may well have been much more. All this time Hubbard remained unseen by anyone in the church, from Franks on down. Only the three messengers were seen. Yet the money machine was still grinding on nationwide and in some foreign countries. It soon developed that Hubbard had other books to sell—a seemingly endless succession of science fiction novels started appearing in 1982, reviewed by critics in less than admiring terms. Church officials publish these under the name Bridge Publications, paying Hubbard a royalty on each sale. Harvey Haber, who served as Hubbard's personal literary representative, says the order went out in 1982 to local Scientology missions and individual members to buy up specified numbers of copies. It added up, he reports, to tens of thousands of copies, many of them bought only to be warehoused by the church. Sometimes single orders for 20 or 30 copies would be placed. But usually neatly dressed young adults would appear in bookstores and buy 2 or 3 copies apiece of Hubbard's books, usually for cash. The first such novel, Battlefield Earth, soon began appearing on bestseller lists. Battalions of neatly dressed customers have been buying ever since. By now, most Hubbard books have appeared on several bestseller lists. Much of the buying seems concentrated on the B. Dalton's and Waldenbooks chains, which seem to be doing a land-office business, even while other bookstores nearby report little interest in Hubbard's novels. Millions in royalties were taken after 1981 in this fashion. All of this money went to Author Services, controlled by the messengers. Seventy-five million years ago there was a "galactic confederation" of more than 70 planets. Then, as now, there were "income taxes and suppressive governments." But the chief problem was overpopulation. There were 200 billion to 500 billion people per planet. The boss was a mean titan, Xenu. He sent people to Earth (called Teegeeack) to blow them up, thus resolving the overpopulation. Rounded up among the victims were "artists," "revolutionaries," "criminals" and "those considered too smart." After capture, these beings "had their lungs shot with alcohol or glycol" and were transported by spaceships to earth. Xenu then dropped nuclear bombs into volcanos. After the explosions, the individual spirits (or thetans), deprived of physical body, were packaged (or clustered) by Xenu through electronic and mechanical means in places like Hawaii and the Canary Islands. In a nutshell, each human today is made up of a cluster of these thetans, with one dominant, and this is the cause of human unhappiness and internal conflict. Only through costly Scientology auditing can the less dominant thetans be removed. (What happens to them after that is not clear.) And Xenu? To this day, Xenu is situated on a mountaintop somewhere stuck in an "electronic trap."—R.B. But Hubbard's old nemeses had not forgotten him. In late September 1985, the Internal Revenue Service sent a letter to the Church of Scientology®, warning that it might indict Hubbard for tax fraud. But Hubbard may have had the last laugh. Jan. 23, 1986 was the date on Hubbard's new will. It dealt with copyrights he still owned. They and any royalties would belong to a special L. Ron Hubbard trust. Hubbard's third wife was provided for. (Hubbard's son from an earlier marriage was long ago disaffected and disinherited.) And it set instructions for dealing with his remains. The body was to be cremated immediately following death, his ashes scattered. No autopsy was to be allowed. Hubbard died the next day, on Jan. 24, according to followers who were at his deathbed. They called the coroner early on the 25th. The doctor who signed the death certificate, citing as cause of death a "cerebral vascular accident," gave as his address a medical center in Los Angeles that was founded by Scientologists. But there are those who believe Hubbard died in 1980, and still others who believe he died sometime in between. We may never know. Shortly thereafter, the Associated Press reported that the Church of Scientology® had announced that 99% of Hubbard's estate had been left "to the Church." Sources say a policy letter was posted in Scientology offices across the country announcing who was now officially in charge: Pat and Anne Broeker and David Miscavige. Since then, the Church of Scientology® has been on a big marketing blitz, with heavy promotions on television and thick color inserts in newspapers on the life of Hubbard "the greatest humanitarian in history." This promotes the books, the royalties on which go into the Hubbard trust. The "church" itself, meanwhile, faces its strongest challenge for survival. Annual income, reportedly about $150 million in the early 1980s, is now thought to be half that in the wake of the purges. Membership is down. The church claims more than 6 million active members, a figure it has used for 15 years. But some defectors put the real figure at less than 50,000. Moreover, an IRS criminal investigation is gathering momentum in Los Angeles, and new litigation has flooded the courts. Awards for damages and personal suffering are being made, some in the tens of millions of dollars, to former members as well as external critics (see box, p. 318). One attorney alone, Boston-based Michael Flynn, has represented 25 ex-Scientologists and is giving advice on a class-action suit. Hundreds of defectors worldwide have formed their own religions or for-profit auditing businesses, generally charging rates under $100 an hour. Among the new competitors is the man who once served as Hubbard's personal auditor, the much-revered David Mayo, who coauthored some of Hubbard's sacred texts and is now writing his own scriptures. So, as the original enterprise shrinks, a new, ungovernable cottage industry grows up around it. It was created by the messengers' purges, and it further undermines the organization that the messengers inherit. If psychotherapy by lie detector really is a useful technique, there is plenty of competition around now, in effect called into being by the messengers' own deeds. Hubbard—or his messengers—or both together, no one may ever quite know which, brought their troubles on themselves. It would all make Lafayette Ronald Hubbard turn over in his grave, if he had one.